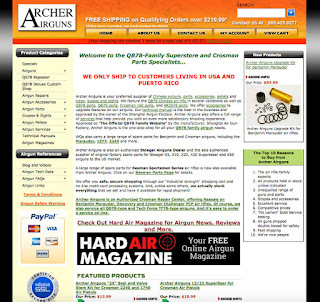 From Tuesday 10 May, 2016, www.archerairguns.com will have a whole new look! And here’s the new look website…. We’ve made the change to look more contemporary and also - more importantly - to offer a much better viewing and shopping experience for all our customers who use a tablet or smartphone to surf the web. 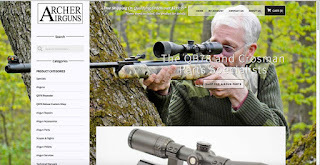 Although the new look web site looks very different, you will soon see that we’ve tried very hard to keep the basic structure of the old site intact. This means that almost everything is still in the same place and, so, should be easy to find. You'll see that the "Product Categories" menu is still arranged vertically (on the desktop computer version) on the left of the site, with the same set of choices as before. Cellphone users will see a "MENU" box that they can click to access the same choices. 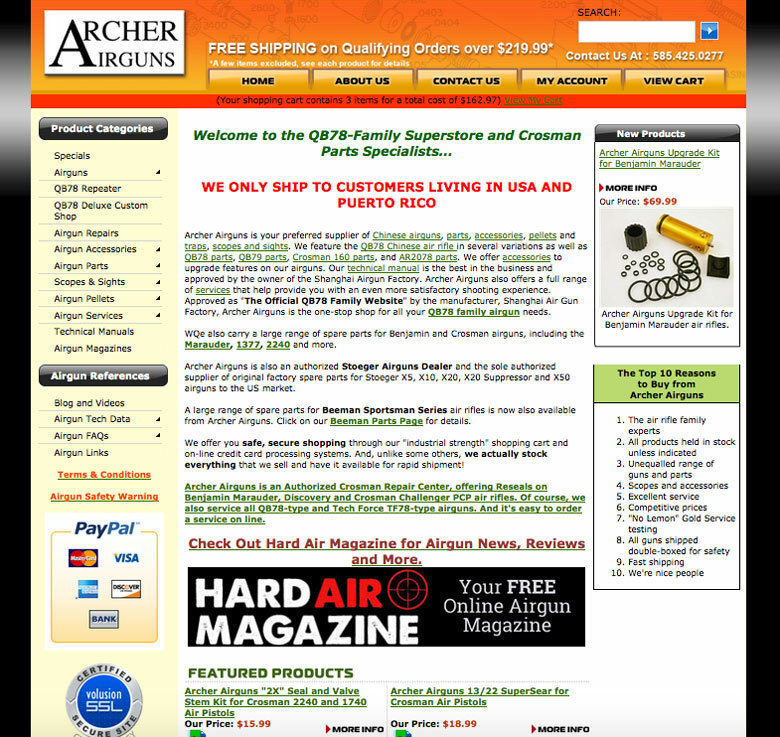 - Is still Archer Airguns and is still owned by Archer Airguns Inc.
- Has the same products in the same organizational structure as the old site. - Has the same “industrial strength” security and shopping cart system. - Will continue to process all orders previously placed on the "old" website. - Continues all existing User Accounts. - Continues to securely accept credit card and PayPal payments. We've invested a lot of time, effort and money to create the new, more modern site, but we’ve done this to make a better shopping experience for everyone, especially for cellphone and tablet users. I hope that you will like the new site! Please let me know if you have any feedback.